We've heard multiple stories from our customers regarding just how hard it is to find a military grade ac power cord manufacturer. Our customer and respected colleague Ryan Sollmann had an especially challenging experience. After talking to two other manufacturers unsuccessfully, Ryan reached Almor on his third try to find a cable manufacturer who understood his customer's EMI/RFI cable shielding needs. Ryan Sollmann is a Sales Manager and EMI Filter Design Engineer at the Captor Corporation, who sells complex hardware solutions to the United States military. 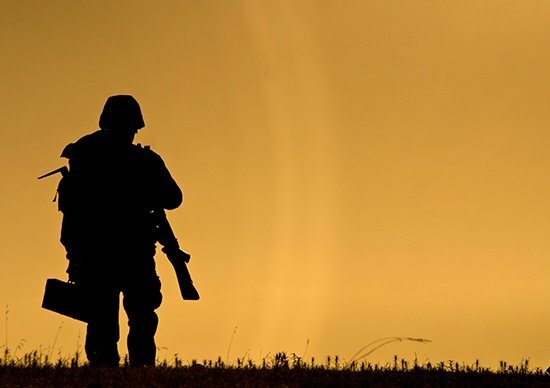 He's been kind enough to volunteer his story for this blog post, which highlights what he had to endure in order to find a manufacturer who could fulfill the needs of his military customer. Can you tell me about your initial experience looking for a military ac power cord manufacturer? 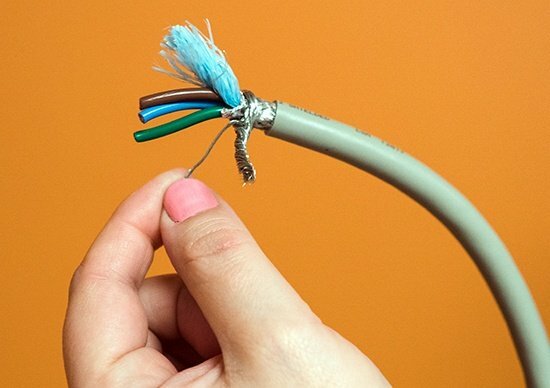 I had been working on a project for a missile defense system for months, and I was at the point where I needed to find a manufacturer who could make power cords containing a braid, shield, and drain. Additionally, these cables required very specific molded ends which further complicated my search for a stateside cable manufacturer. I reached out to a power cord manufacturing company-- we'll call them manufacturer A-- who said they could provide me with a sample based on my customer's specifications. After several days, I received the initial prototype. The molded ends didn't look right, so I asked them to send me a new prototype. I had to send my initial samples back to manufacturer A before they would send me a new prototype, so I had to wait several more days before being able to vet the new sample. The second sample wasn't right either. Manufacturer A didn't seem to understand my military customer's application; they eventually stopped responding to my calls and emails. After two months of being stuck in an endless communication loop with manufacturer A, I had no choice but to go back to the drawing board. That must have been frustrating. What did you decide to do next? It was incredibly frustrating. But I needed to find my military customer a solution, so I decided to reach out to another manufacturer. I was skeptical when I reached out to manufacturer B, but I kept pushing ahead in order to find someone who could supply my military customer with the proper power cords. Manufacturer B didn't understand my customer's specifications any better than manufacturer A, and they too stopped responding to my outreach after going back and forth with me for a month. Looking back, I'm fairly certain that manufacturer B was affiliated with manufacturer A, but I had no way of knowing that ahead of time. If it weren't for longer lead times on other products that were included in my military customer's configuration, I would probably have lost the sale at this point in time. How did you arrive at finding Almor Power Cables? After my failed attempts with manufacturers A and B, I wound up going back to my military customer for some guidance. One of their engineers recommended that I reach out to Almor Power Cables, and I'm glad I did. After my first call with Almor I was confident that I had found a manufacturer who understood exactly what my military customer needed. From his knowledge regarding shielded power cords, to the earnest attitude he conveyed at every stage of our engagement, I knew from day one that Almor was going to be able to help solve my customer's need. I received samples within 2-3 business days of our initial conversation, and they were exactly what I was looking for. After two to three months I went back to the Almor team to place an order for my military customer, which was turned around fast and at a fair price point. Because sales engineering at Almor Power Cables proved that he understood and could follow through with a custom military grade ac power cord, I will continue to rely on him to help the customers of Captor Corporation. Would you recommend Almor to your colleagues? I would recommend Almor Power Cables to anyone in need of a military grade ac power cord manufacturer, except for my competitors! All jokes aside, sales engineering at Almor Power Cables is as helpful as they are knowledgeable, and I fully trust them to help me help my military customers from here on out. 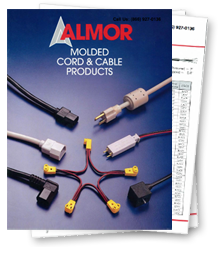 If you're in need of a military ac power cord manufacturer, look no further than Almor Power Cables. Take it from our customer Ryan Sollmann-- we don't just care about making high performance power cables; we care about creating custom solutions that meet our customers' needs. If you need help solving a problem for your company or your own customers, reach out to Almor today, and our military specialist will help talk you through your options.